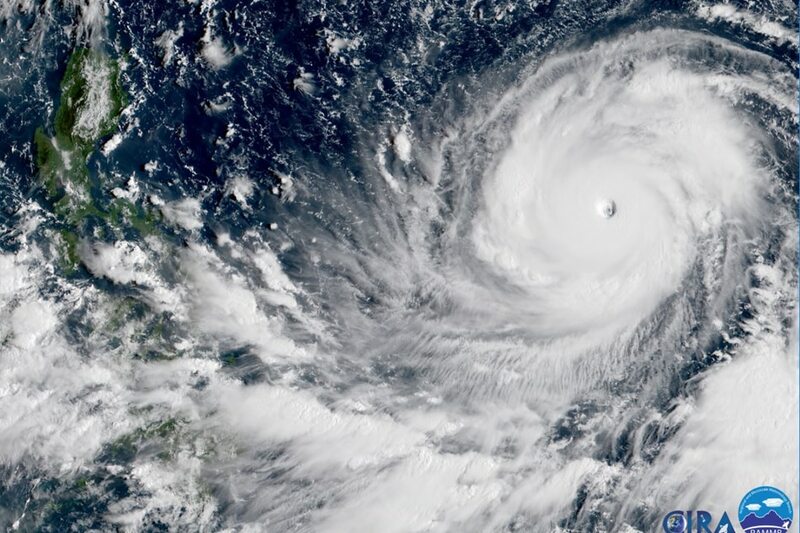 Typhoon Ompong (international name Super Typhoon Mangkhut) and the lights of Metro Manila were captured again by the sensors of a Japanese satellite Wednesday night, ahead of the tropical cyclone's expected landfall over northern Philippines. 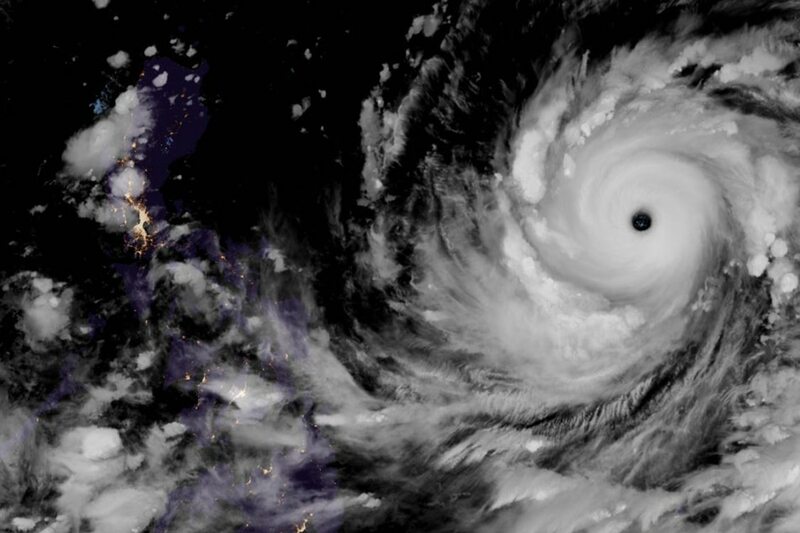 Images from Japan's Himawari-8 weather satellite show the typhoon's spinning clouds and well-defined eye, as well as the outlines of the Philippine islands, with the well-lit cities of Metro Manila also clearly seen, like the previous night. State weather bureau PAGASA said although the typhoon will not directly hit Metro Manila, Ompong's outer bands and the enhanced southwest monsoon (habagat) will bring more rain to the metropolis. 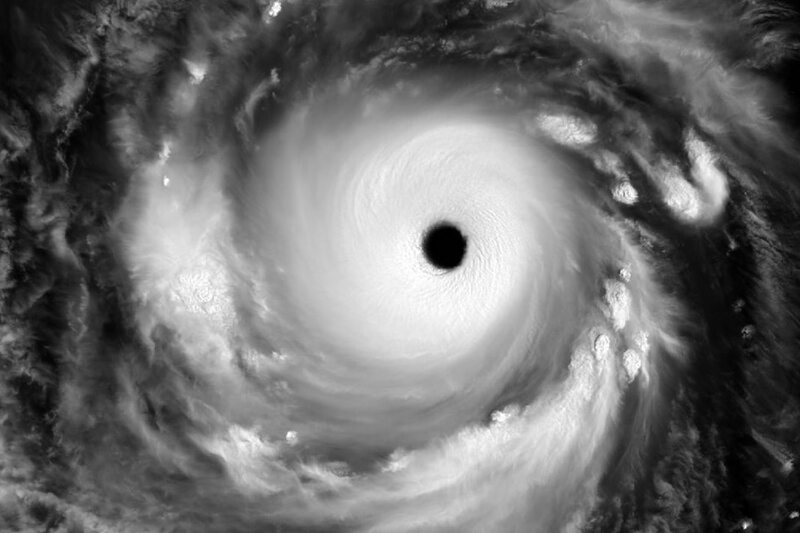 Below are select images of Ompong from Himawari-8 and weather agencies monitoring the typhoon. As of 10 p.m. Wednesday, Ompong was packing maximum sustained winds of 205 kph near the center and gusts of up to 255 kph, according to PAGASA. 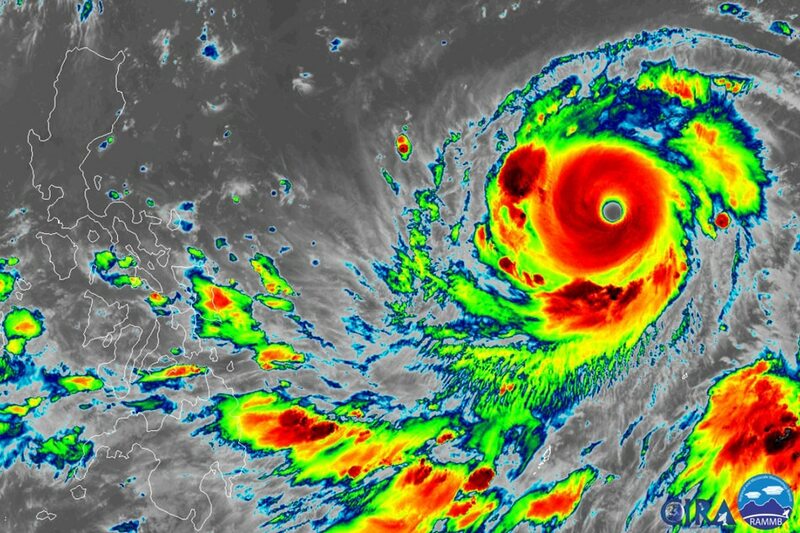 Ompong may become a super typhoon under PAGASA's categories of tropical cyclones Thursday, reaching a peak intensity of 220 kph and 270 kph gusts. 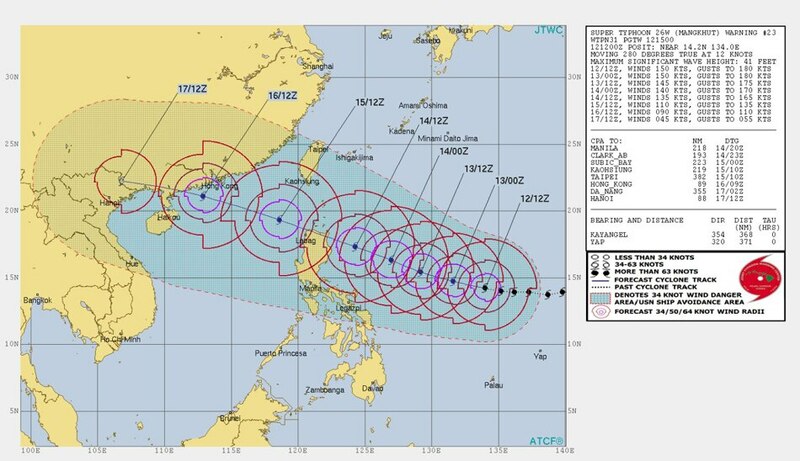 The typhoon is expected to make landfall over the northern Cagayan on Saturday, September 15, being intense rain, strong winds, and storm surges along eastern and northern Luzon. The eye of the tropical cyclone was located 1,005 km east of Virac, Catanduanes as of Wednesday night and is expected to move to 875 km east of Baler, Aurora in 24 hours. Catanduanes and Camarines Sur, which have been placed under Tropical Cyclone Warning Signal no. 1, will start experiencing occasional rains and gusty winds, PAGASA said.